For countless ages the wild cranberry flourished in many marshy areas of Central Wisconsin. 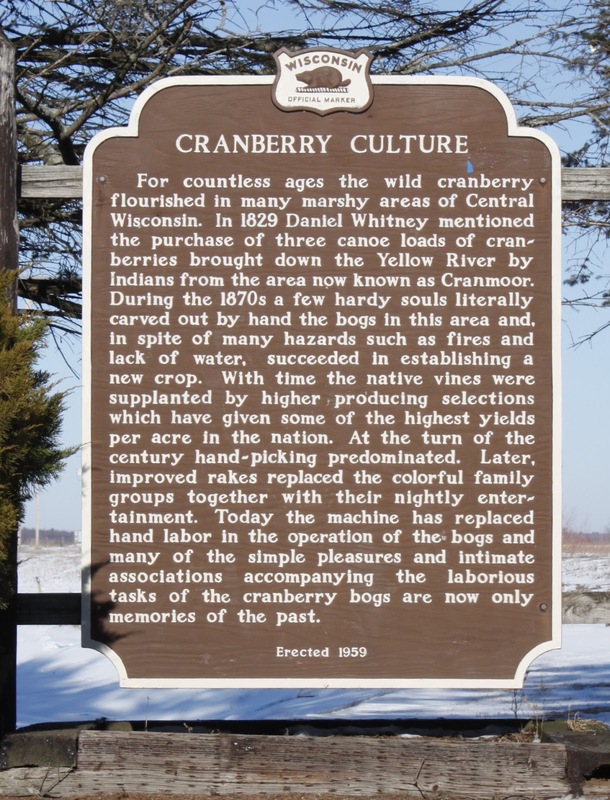 In 1829 Daniel Whitney mentioned the purchase of three canoe loads of cranberries brought down the Yellow River by Indians from the area now known as Cranmoor. During the 1870s a few hardy souls literally carved out by hand the bogs in this area and, in spite of many hazards such as fires and lack of water, succeeded in establishing a new crop. With time the native vines were supplanted by higher producing selections which have given some of the highest yields per acre in the nation. At the turn of the century hand-picking predominat­ed. Later, improved rakes replaced the colorful family groups together with their nightly entertainment. Today the machine has replaced hand labor in the operation of the bogs, and many of the simple pleasures and intimate associations accompa­nying the laborious tasks of the cranberry bogs are now only memories of the past. 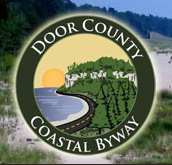 The marker is located at a highway pull-off an westbound State Highway 54, 8/10ths of a mile west of its intersection with County Highway GG, Nekoosa, Wisconsin 54457.